The iPad Mini back in the 2012 was really dope considering the fact that smartphones never crossed their boundaries back then by remaining small and fits right well into our hands. Ipad mini was like the intermediate between smartphones and tablets because of their sizes and they fit almost anywhere you slide them into. Which is also great but then, Samsung’s Galaxy Note changed everything and since major smartphone makers had adopted the large screen, the usefulness of mini tablets had come under doubtful thoughts. With lots of smart gadgets now being released, the reinvention of the Apple iPad mini is a really good one. Having to carry lots of gadgets such as laptops, mobile games and even watches makes technology looked somehow stressful sometimes. 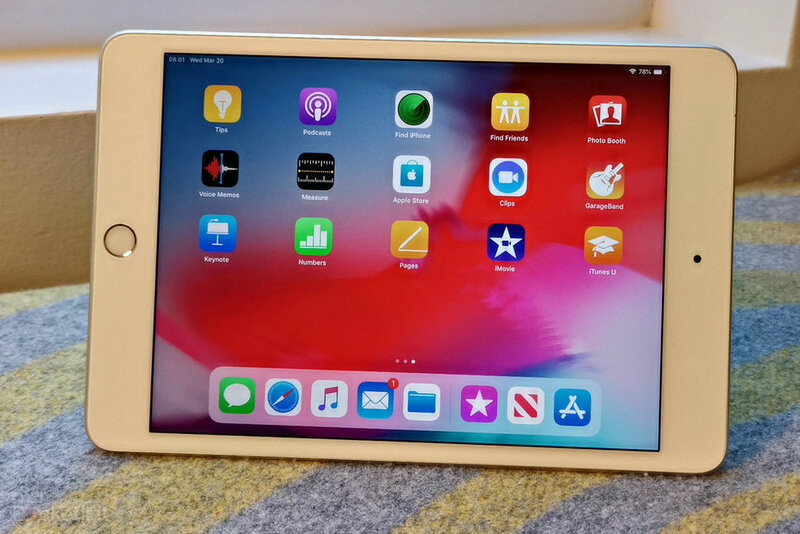 The iPad mini has a 8.0 inch screen just as it would usually have but then consider the fact that an average smartphone in 2019 has on the average a whooping 6.0 inch screen not to talk of some machines such as the Huawei Mate 20X with it’s large 7.2 inch and it’s referred to as a smartphone. But let’s not talk about the downside of the device just so soon, the iPad Mini has the Apple A12 Processor and it supports a Pencil with which you can write and draw on the device’s capacitive touchscreen. While the pencil and it’s 8 inch screen size might be nice thing to talk about, again, it takes me way back to the downside which for example is why I would really need the iPad Mini considering the fact that my Huawei Mate 20X does a whole lot of things and it even has the M Pen. Though there is the Apple’s A12X processor which would be featured on the iPad Pro, the A12 on the iPad Mini is still fast enough to considering the device’s size. Geekbench 4 benchmarks shows a single core score of 4,810 and a multicore score of 11,559 which places the device in the same speed range of the iPhone XS. Meanwhile the 11-inch iPad Pro’s A12X processor gets benchmarks that are somewhat faster in single-core and significantly faster in multicore. Multitasking, for the apps I’ve tried so far, seems to be a lot better than the iPad Mini 4 could handle, so no surprise there. So Apple tried out a Stylus pen this time around and well, It’s a really great thing to have on the iPad Mini 2019. The new Apple Pencil can connect well with the Original Pencil and would work well with the 2018 iPad 9.7. The Apple Pencil also supports the Logitech little Pencil alternative called the Crayon making sketching a thing of fun and artistic. While I can do some UI/UX Design things on my Hauwei Mate 20X, this would be a great thing for those who’d prefer the iPad Mini. One thing I just don’t like is that you’ll have to carry the pen separely because it can’t be tucked anywhere within the device as the case of Samsung Galaxy Note devices. But then, you can get a casing that supports the Apple Pencil. Yes it’s really fascinating that Apple had decided to leave it’s iconic Touch ID which also serves as the home button on the device as well as a headphone jack. I think Apple is really trying to be strategic with the device because leaving these things on the device makes it pretty traditional to what most of us are used to int the past. What makes the iPad Mini a bit big is the large bezels around it. When placed between an iPhone XS Max and the iPad Pro, it looked pretty small but thanks to it’s large body. It might be 8.0 inch in size but it’s really not for kiddies considering it’s features. I think the device was just made for those that wants something conventional and smart rather than the large over-designed iPad Pro, the iPad Mini can be be a great fit for people with smaller hands or those that just prefer medium sized devices. It’s price range starts at $399 while the device range in price depending on the space it has. For example, the 256 GB size is priced at $529. The $329 9.7-inch iPad (which is often on sale for even less) isn’t entirely a better bet, since it has less storage (32GB) and an older processor. But at least it’s less expensive. The Apple Pencil is more giant than the device itself at least considering their size ratios. The Logitech Crayon is a little better than the Apple pencil and fine but anything smaller than the Apple Pencil would be good for the Mini. The iPad Mini is for Apple fans and the iPad 9.7 inch which comes with a price tag of just $399 and the possibility of attaching an external keyboard onto it is a great thing . So does the new iPad Air, which is basically the 2017 10.5-inch iPad Pro with an A12 processor and no 120Hz ProMotion in the display. The Air is an extra $100, but its extra screen size and smart connector seem worth it. But I don’t have the new iPad Air to review yet, so I can’t compare. But if you’d adamantly stick with Apple iPad Mini, then you’re great. Instead, I’d prefer the Huawei Mate 20X since I’m not an Apple fan.